Are you seeking career advice? Or are you in the position to mentor young alumni? 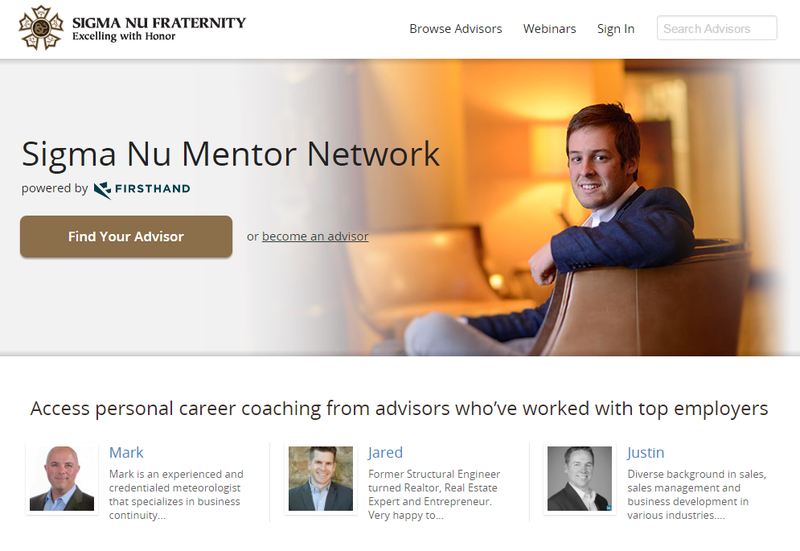 Sigma Nu has officially launched their mentor network, which allows alumni to provide and receive assistance with resumes, interviews, and job search. This newfound program was inspired by a 2013 survey that indicated a strong desire for a formal networking platform. 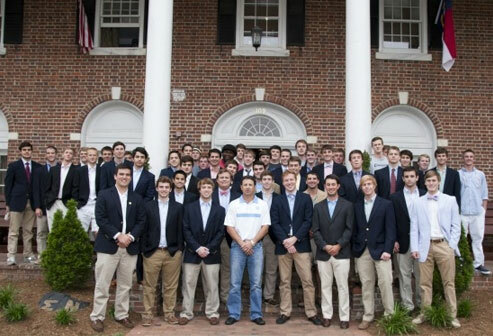 The program offers a safe, secure, online platform, www.sigmanu.firsthand.co, where members can register as advisees and advisors. After creating a profile, both parties can then take part in what is called flash mentoring. Unlike traditional mentoring, this allows advisees to choose an advisor for a single online career conversation. From there, they can schedule additional consultations with the same advisor or others. This method allows advisees access to an entire searchable directory of advisors, not just one assigned advisor. “Access to the entire network of advisors is important because it means that advisees can learn, and gain insight, from multiple points of view while also expanding their personal network,” said Wenger. The website also provides a Webinar library that can help alumni get up to speed on industries and companies they’re interested in. To create an account and start networking, visit www.sigmanu.firsthand.co. For a full overview about the program from Headquarters, click HERE.